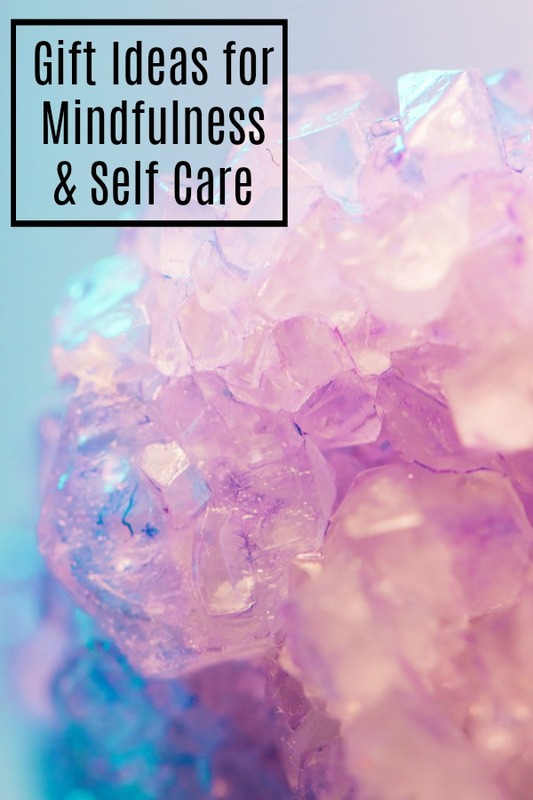 More Gift Ideas for Self Care and Mindfulness | How Was Your Day? Are you a practitioner of self care? If not, you should be! I’m sure you’ve heard the saying that you can’t pour from an empty cup, and it’s so true. Growing up, I was introduced to all kinds of people and all kinds of belief systems. I like to believe that I carry a little of all of it with me throughout my journeys. 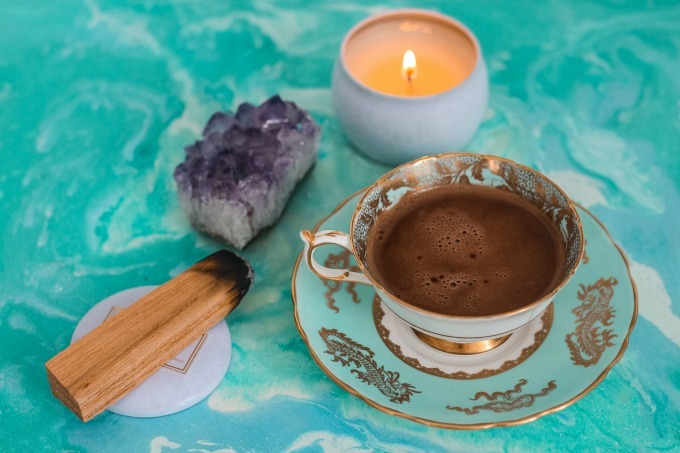 We’ve gathered up some of our favorite items that are sure to bring a healing vibe and spirituality to your life. Treat yourself! Or your best friend. Editorial samples and/or sponsored placement. Links may be commissioned. 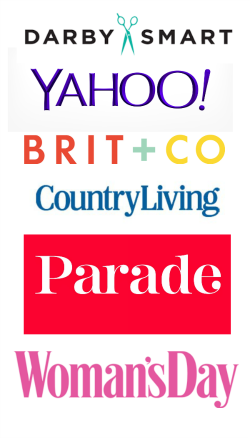 Thanks for shopping through them and supporting our site. You’ll definitely want to check out these other gift ideas for mindfulness, too. This is a whole-body approach to feeling better. 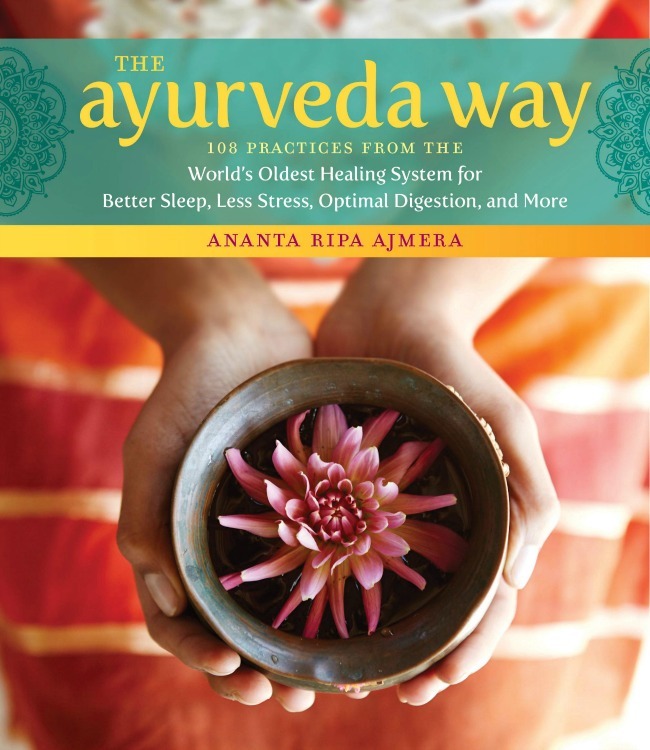 The Ayurveda Way book has 108 practices that are supposed to lead to better sleep, less stress, optimal digestion, and so much more. So many are simple and easy to do, like waling 100 steps after a meal. Some take a little more devotion, planning, and concentration. 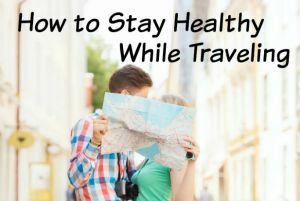 If you’re looking for a more holistic approach to your wellbeing, it’s definitely worth looking into. Everyone can use more love and kindness in their lives. Let’s conjure up some of that. 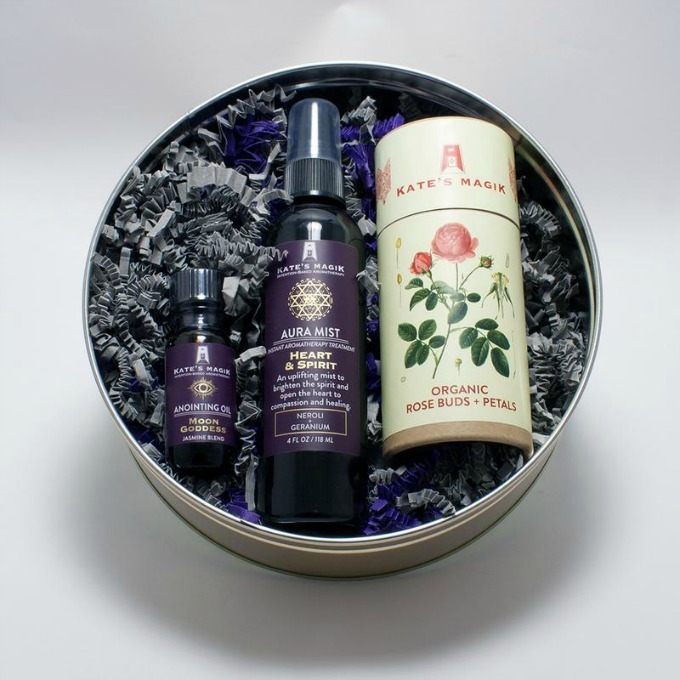 The Gift of Love and Kindness gift set from Kate’s Magick is full of aromatherapy items that will help with this. The Moon Goddess Anointing Oil helps remove worries and lift the spirit, while the Heart & Spirit Aura Mist rightens spirits and opens your heart to compassion and healing. 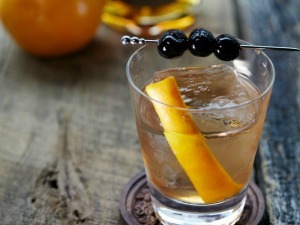 Pair those with the organic rose petals, and you have a real treat. 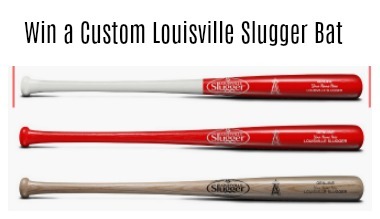 This set is large, too. It’s difficult to tell from the photos, but it’s cookie tin sized. Many people know that herbs can help to alleviate symptoms of whatever is ailing you (used as a euphemism, not medical advice.) Sun God Medicinals offers a vast myriad of teas in loose leaf version. They have blends that are sure to help anything from anxiety and stress to lifting spirits to improving your immune system. 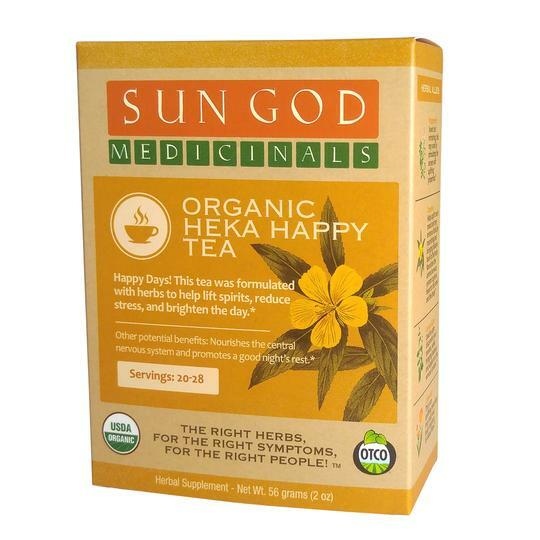 Brew up a pot of Heka Happy Tea or Panacea Immune Defense tea – both organic. Each month features gorgeous photos of healing crystals. 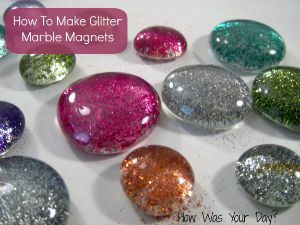 It gives you a little bit of info about the stone, some history, and what its powers are. You’ll also learn about the chakra powers, along with the moon phases for the month. 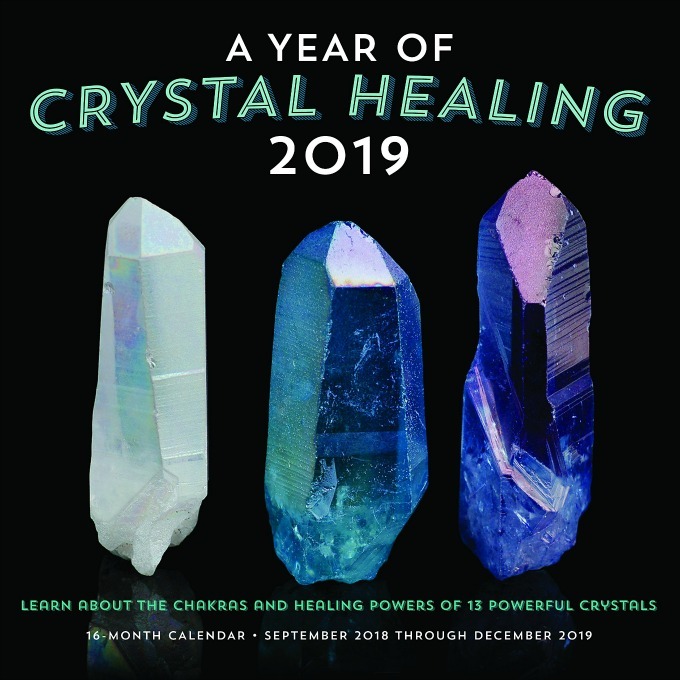 A Year of Crystal Healing is a feast for the eyes and the soul. 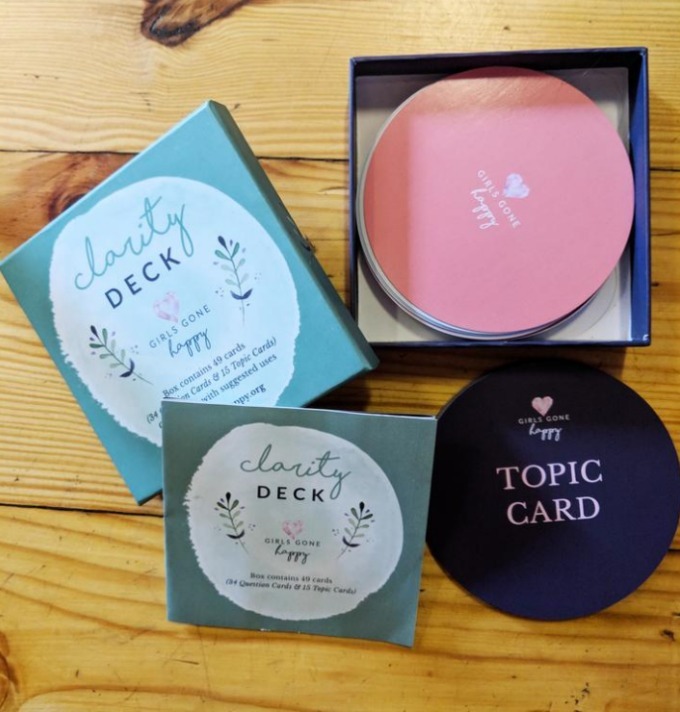 The Clarity Deck is designed to help you get unstuck. 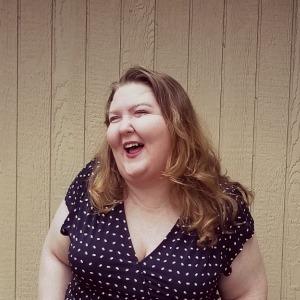 Unstuck in your life, your relationships, should you quit your job, etc. It’s loaded with thought provoking questions that will help organize your thoughts, and let your subconscious guide you to the right decisions. The Clarity Deck also helps you figure out where you’re hung up on “how things should be.” There’s also a deck for Motherhood and Grief and Loss. Okay, this might be one of the funnest things I’ve come across in a while. 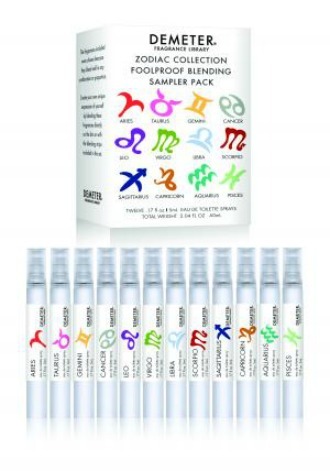 Demeter has created a fragrance for each of the 12 zodiac signs. This kit has a small sample sprayer of each of these that you can mix and match, blend and layer to your heart’s content to create your own custom fragrance. Even better, they’ve put together suggested fragrances that go well together, and they tend to be the same as zodiac signs that are compatible. SO FUN. Natural water flows through several layers of rocks and minerals before we get access to it. 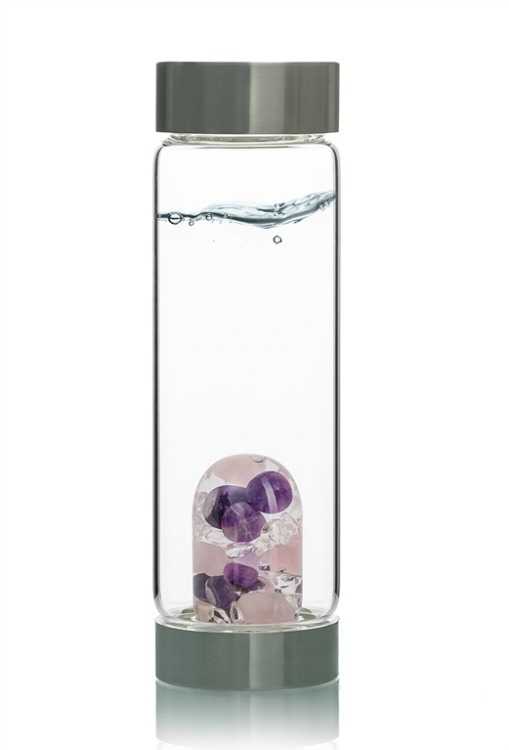 Vitajuwel wants to revitalize the water we drink with the power of healing gemstones. The glass bottles have a bottom piece, the GemPod, that you can switch out, depending on your healing needs. With options like healing, vitality, fitness, and so many more, there’s an option for everyone. Plus, it’s absolutely gorgeous, and a great way to drink more water and use less plastic. Drinking water is so important to our well being. 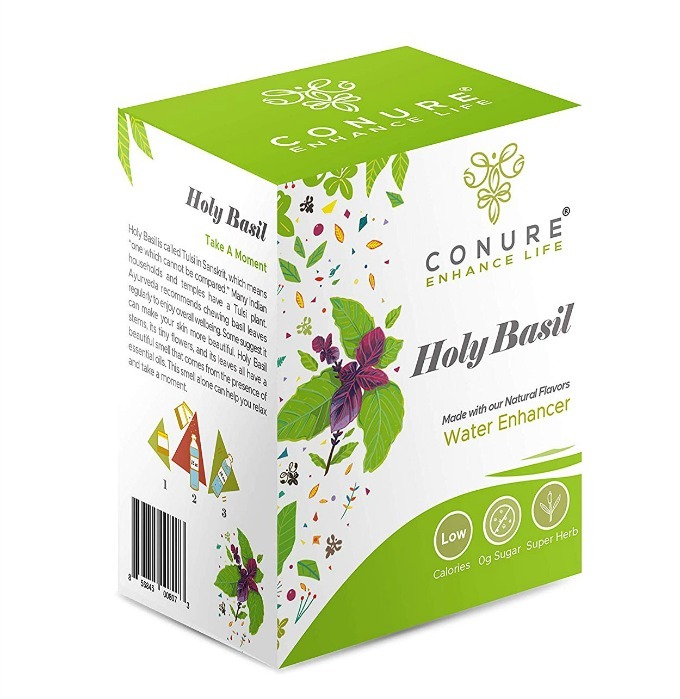 Why not pair some of the ideaology of Ayurveda along with your hydration with Conure Water Enhancers. Available in varieties like Holy Basil, Ashwagandha and Lime, Ginger and Lime, and Turmeric and Lime. 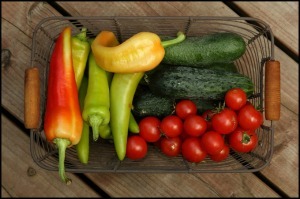 Each one has its own benefits, like combating fatigue, stress, and so much more. They’re sugar free and low calorie, too, so you can feel good about adding Conure to your water. We all know how beneficial essential oils can be. Gurunanda has taken this a step further and created a collection of ready to use essential oil roll ons. 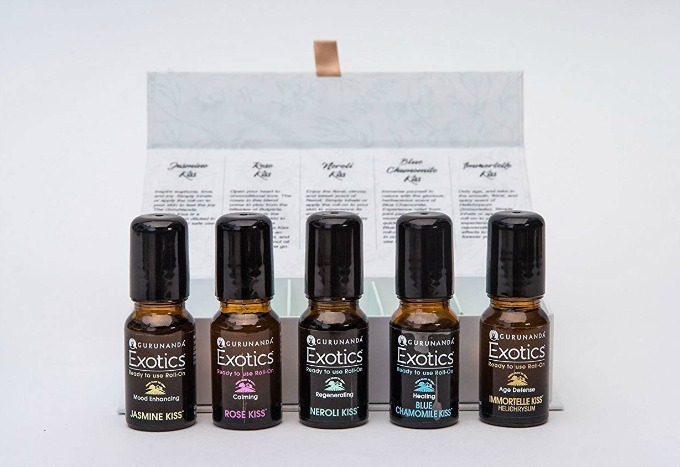 The Kissed Exotics collection includes Jasmine, Rose, Neroli, Blue Chamomile, and Immortelle. You can apply these to your body using the rollerball, or inhale from the bottles, as they’re properly diluted. Gurunanda’s oils are 100% pure and natural, and laboratory tested. There are a lot of ancient beliefs surrounding self help and mindfulness. Some of these are having a renaissance, like healing crystals. These books are great at explaining what things mean, and how to interpret them. 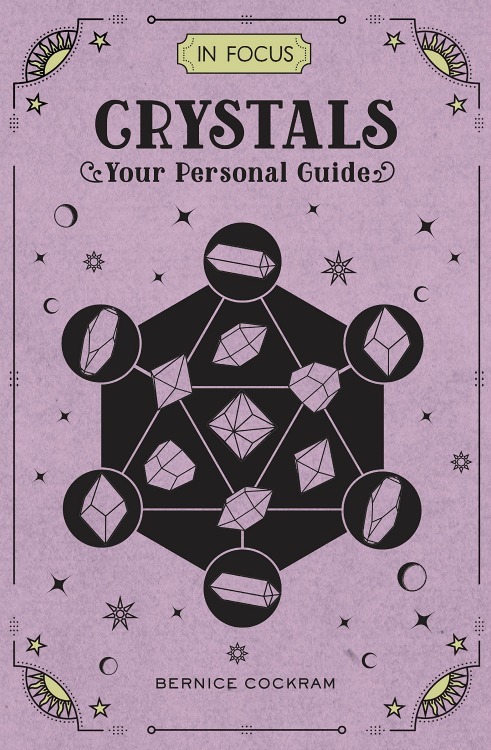 The crystals book has an illustrated guide to the different crystals, their healing properties, and how to use them. It also includes 7 crystal grid cards. The Palmistry book shows you how to read a palm, and what the lines mean. It includes an 18 x 24 inch wall poster. All in all, great buys for around $20. These gift ideas will help you feel more centered, and get in touch with your own being. 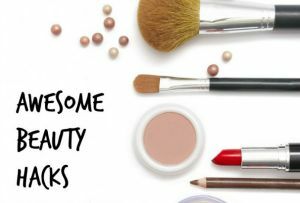 Hopefully, they’ll also help you rest and feel rejuvenated when the need arises.